Costing a terrace renovation can often be a tricky task. There are a lots of unrealistic views on what a terrace should cost. These opinions often fall on extremes of either side of the spectrum of budgets. This is because of the many different sources out there claiming that things can or cant be done for a certain amount of money. We will try and break down what is the most realistic truth of terrace renovation costs. Terrace renovations are notoriously difficult to cost. Why? Because there are so many unknowns involved. Most terrace buildings, especially in Sydney, were built very quickly. This, along with the age of the building, means that a builder will come across a number of factors or issues that just weren’t known of when pricing. 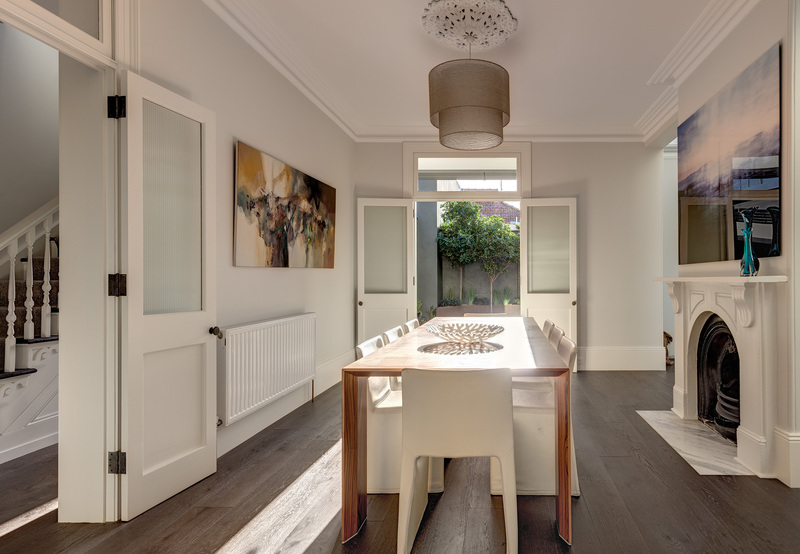 While builders and architects or designers do analyse the building for a many issues are they can see, the entire process of renovation and alterations is an opportunity for something to pop up. Common issues found in terrace structures include dampening, leaking, ventilation and termite issues. All of which can become costly when not properly prepared for. With the above being a factor, the best way to reduce costs is to prepare. By understanding to the best of your ability what common issues or concerns in terrace buildings are, you can make allowances for them. While you may not have a termite problem, having a contingency plan will mean that you have more control over your budget and overall costs. Learn about the house, its history and how and when it was built. Because knowing these facts, will help know what to look how for in the beginning. Searching for issues in the beginning allows you more time to form a game plan and the cash to cover the expenses. Last but not least, have realistic expectations on what you are going to spend. While researching other examples of terrace renovations is going to happen, know that just because their journey was one way that does not mean that you’re will be. Every single house has its own problems and opportunities. You may have a different builder or be building during a construction high or low. No two projects will be the same, especially when dealing with buildings this old. A final tip is to not get trapped by the thirty minute tv segment which promises you that you can do a reno within a certain constraint of money. Just because its done by them, doesn’t mean it can be by you. Or even that you have to stick to a certain way of doing your renovation. Terrace’s are beautiful and iconic structures apart of Sydney’s history. While they generally are cheaper due to the decreased land size, they can make up for it in their many hidden problems. Know you’re budget, know your desired outcome and understand your house. These will all assist you in controlling your spendings and renovation journey. For more information of Terrace house and living, see our past blog post. For images, tips and tricks follow us on instagram @rotharchitecture.